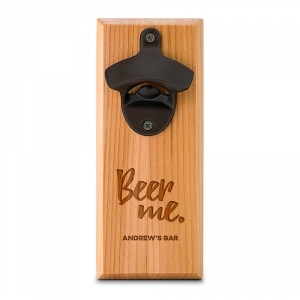 A perfect addition to any bar or man cave, this wall mounted bottle opener will make prying the cap off your favourite craft beer or ale quick and easy. No more searching through drawers for the opener. Made from natural cedar wood and featuring a metal opener in classic black, this bottle opener fits well into almost any home décor. 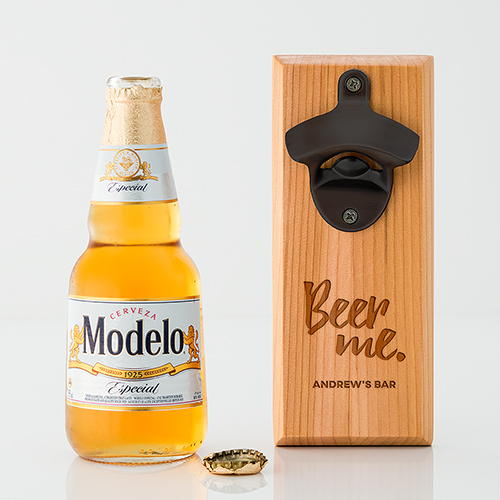 A fun laser etched "Beer Me" message makes this a personal, dude-tastic gift.